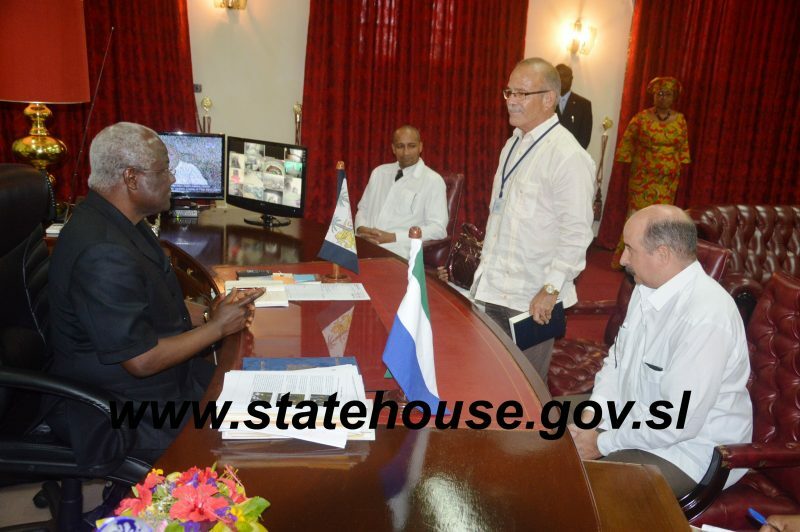 President Dr Ernest Bai Koroma on Wednesday 8th October received the Cuban delegation of One Hundred and Sixty-Five medical (165) staff including doctors and nurses at State House. 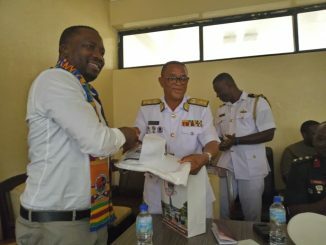 The delegation was led by the Cuban Ambassador to Sierra Leone resident in Accra, Ghana, Mr. Jorge F. Lefebre Nicolas. The delegation comprises Sixty-Three (63) doctors and One Hundred and Two (102) nurses and professionals. 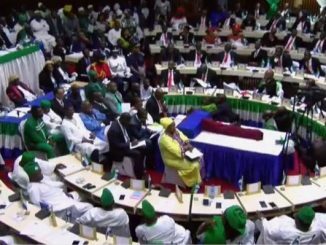 He assured the delegation that the people of Sierra Leone will appreciate this gesture as they had paid the supreme sacrifice to come in and not only send in equipment, but also send in frontline soldiers to aid the fight against Ebola. In any war, the frontline soldiers are very critical, the president noted and continued that it is their strength, commitment and determination that will help the country win the war. 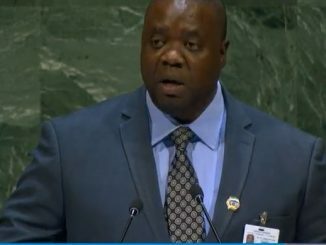 “It is when we have fearless people on the frontline to confront Ebola that is so dangerous that you will be able to win the war,” he added. As the country is going through a challenging moment, President Koroma stated that in order to really get ahead of the virus, the country needs a minimum of 3,000 health workers, including doctors and nurses. The Cuban Ambassador Mr. Jorge F. Lefebre Nicolas said that the Cuban medical team was in the country to help contain the spread of the virus, whilst saying that a friend in need is a friend indeed. With the initial six months stay in the country, Mr. Nicolas said with the medical capacity and willingness to help, the Cubans will stay in the country as long as it takes until the disease is contained. He informed the President that the Cuban medical staff would be deployed across the country, adding that the two countries have shared a long history of friendship. The Ambassador also expressed appreciation to Sierra Leone for the support the country has been giving to Cuba in the United Nations. The Deputy Minister of Foreign Affairs and International Cooperation, Mrs. Ebun Strasser King said that the One Hundred and Sixty-Five (165) Cuban doctors and nurses have come to complement government’s efforts in containing the outbreak. 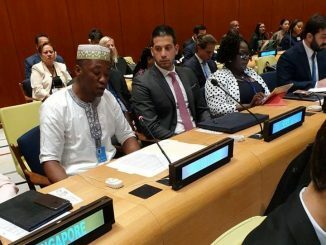 She stated that the two countries had been in diplomatic relations since the 1970s and that Cuba has been giving aid to Sierra Leone particularly in the area of medical aid and training.